Miami lawyer Randy A. Bryant has served clients in south Florida since 1998. The areas of law in which he works — personal injury, wills and trusts, probate administration & litigation, and guardianships — potentially involve emotions, injury, family and finances. Attorney Bryant handles personal injury and wrongful death claims, probate litigation concerns, elder abuse recovery matters, will contests, and more. Helping Clients Find the Right Direction. Free First Meeting. 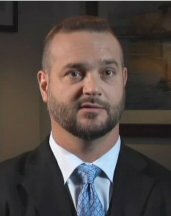 Attorney Bryant serves as a guide to his clients. He is responsive, timely and accessible. He helps clients to understand their rights and responsibilities, and helps them navigate through very difficult times affordably and compassionately. A significant number of clients come through referrals from past or current clients. Attorney Bryant is known throughout the area as an advocate who gives his full attention to each individual matter. In his spare time, he is an avid spear fisherman in the south Florida coastal waters. We encourage you to call or e-mail our Miami office to schedule a free initial consultation with an experienced lawyer today: 305-456-2777. Hablamos Español. Serving Miami, Naples, Fort Lauderdale, The Keys and all of Florida.